I’ve been impressed by the wines from Rhys Pender and Alison Dredger’s Little Farm winery in the Similkameen Valley. This is a valley next door to the Okanagan in Canada’s BC, and their 4 acre organic vineyard is in in Cawston. I reckon this is their best yet. 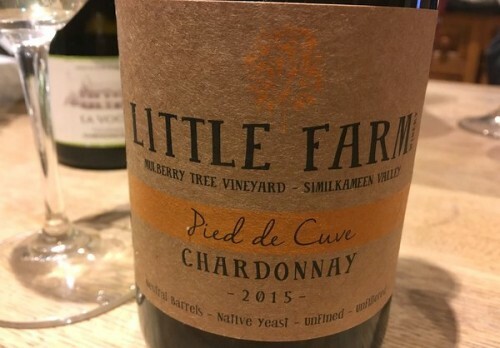 It’s the first release of this naturally fermented Chardonnay, and it retails at a very reasonable CA$35. Alas, just 55 cases were made.